Today’s 13th Northland Nine stars our resident glamour gal Glam-er-zon! Glam brings the hammer to the track with her infamously bootacious blocking and some sassy derby chick style to her off track career in modelling! 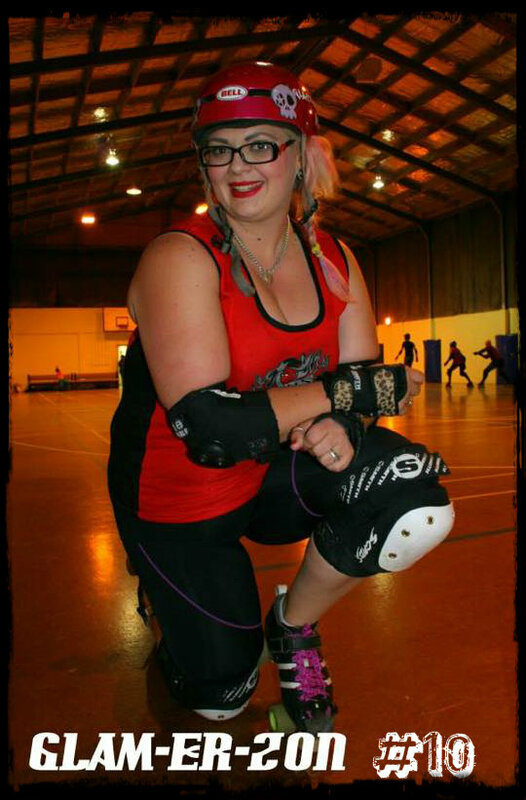 Hells Wives are missing this young lady on the track as she recovers from knee surgery, but she’s been putting her derby smarts and bold personality to excellent use as an MC for our games this year. We sure are looking forward to seeing Glam back on eight wheels really soon! 1: Three words to describe you? Passionate, always a fun time and loyal. 2: What’s your ultimate roller Derby tune? Oh there are so many but it would have to be that famous Glamerzon song Blurred Lines – but pretty much anything I can get the Glammer Hammer shaking to. 3: What inspired your derby name? So many things…outside of derby I am heavily involved with the modeling world so I bring a bit of Glam to the track. 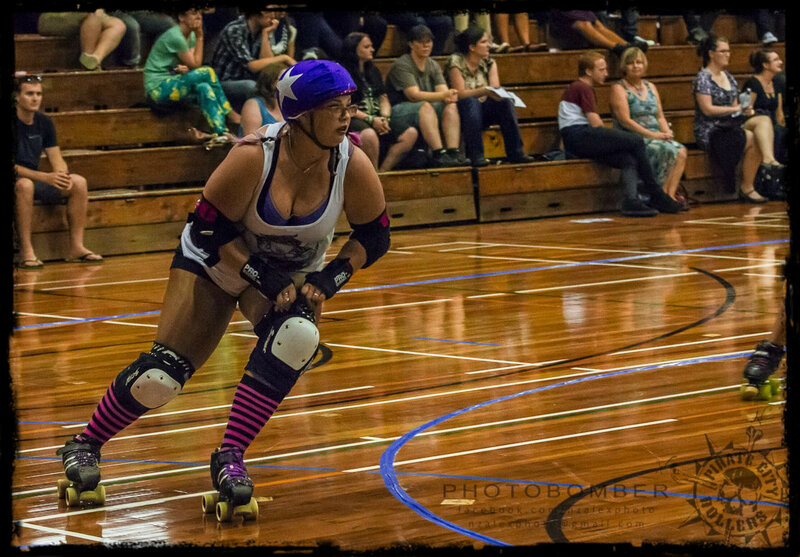 4: What was the most memorable moment in your roller derby career so far? Sigh…there have been so many but I think it would be every time I skate onto that track and see my team mates having your back. 5: What are you most afraid of in life? Disappointing people. 6: What is the best roller derby advice you have ever received? Never give up! It’s hard, it hurts, sometimes you are pushed way out of that comfort zone but it will make you a stronger version of you. 7: What’s your life motto? When life gives you lemons, grab the tequila and salt and dance it out with me. 9: What’s your roller derby goal for 2015/16? Get back into bouting after having 6 months of due to knee surgery! Watch out I have a plan to bring the Glammer Hammer back with force! This entry was posted on September 11, 2015 by nnderby. It was filed under EVENTS! .